The celebration of the Holy Eucharist is central to the worship life of St. George’s. As we gather in our beautiful and historic church to lift up our hearts to the Lord, we offer prayers, listen to the lessons of scripture, receive the bread and wine of communion, and strengthen ourselves to live out our faith supported by a community of fellow believers. All baptized Christians are invited and encouraged to receive communion with us at our Lord’s table. Our services follow the liturgy of the Book of Common Prayer. On Sunday mornings we offer two services, one at 8:30 A.M. which follows the more traditional language of Rite I, and one at 11:00 A.M. which follows the liturgy of Rite II with its more contemporary language. 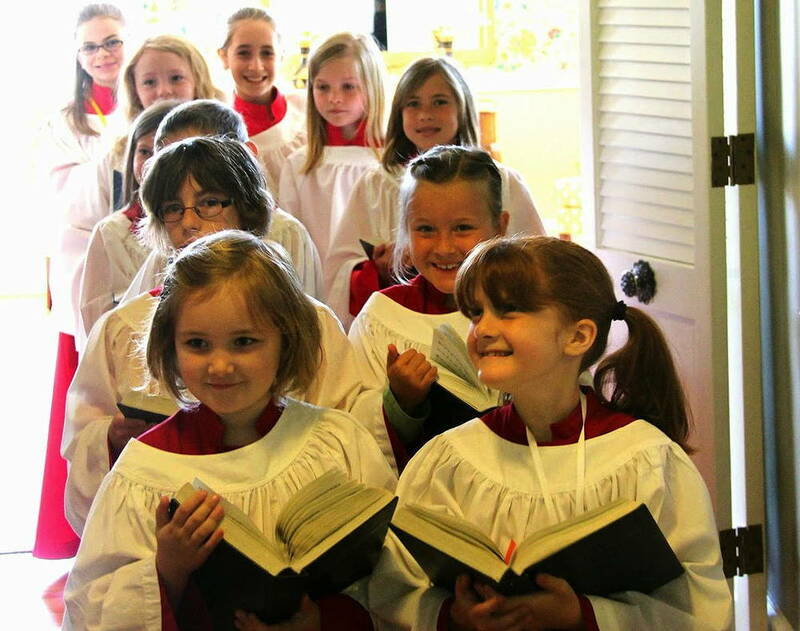 The 11:00 A.M. service includes instrumental music, the singing of hymns, and sung psalms with the support our choir; while children of all ages are welcomed in our worship services, childcare for children under three is available during this service. 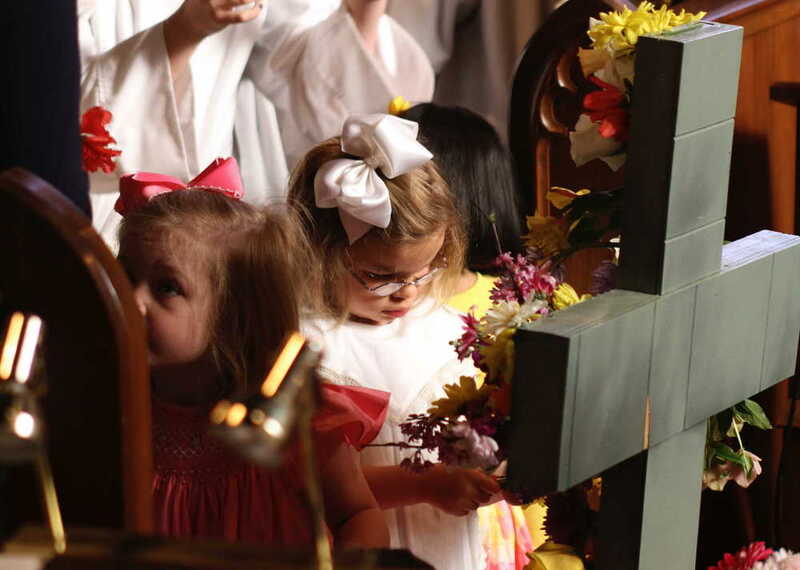 During the school year, after the reading of the Gospel, the children of our Catechesis program ages three through nine proceed to the Children’s Chapel for their own worship service. They return to church at the time of the Peace to join their families for communion. On Wednesdays our service is celebrated in St. Stephen’s Chapel, following the liturgy of Rite I. During the summer months, beginning on Memorial Day weekend through Labor Day our 11 A.M. Sunday service is held at 10:00 A.M. with music and childcare provided. Instrumental accompaniment, choir, sung psalms and anthems. Childcare for children under three, 9:45 A.M. until 12:15 P.M.
Childcare for children under three, 9:45 A.M. until 11:15 P.M.